Rental returns matter to everyone. And if they don’t, they should. Investors want a fair return on their money, second-home owners frequently want to rent their properties out while they’re away, and even those who live abroad full-time should pay attention because potential rental returns will enhance the value of their property at resale time. Here in Santiago, the potential for rental returns varies widely, even among the nicer neighborhoods. But make no mistake… there are some good returns to be had in Santiago. For the purposes of this report, I’ve studied only furnished apartments that are being rented on a monthly basis. Where properties had daily or weekly rates, I only used their monthly rate. My property price and exchange rate snapshot was taken Feb. 1, 2015. The plans you have for using your property will determine the type of rental property you ultimately buy. If you are strictly renting the property, then it’s fairly easy to pick the optimal size in your desired market. If you’re going to use it yourself part-time, then it’s not so easy. As new landlords quickly find out, the best returns do not always come from the areas or properties where you’d want to live longer-term, so part-time residents will need to compromise. For example, a one-bedroom apartment in an area with heavy tourist traffic may produce the best returns, but it may not be an ideal part-year living arrangement. The secret to success with this compromise is to acknowledge that it exists—and determine what you’re willing to do about it—before you start shopping for properties. Maybe you’re willing to live on a noisy street in order to get better rental returns when you’re not in residence, or maybe you’re OK with lower returns in order to enjoy some tranquility in a less-active area. Here’s a brief rundown of the neighborhoods I looked at for managing a rental. I did a survey of some of Santiago’s most popular neighborhoods. That is, areas popular with business travelers, expats, and long-term visitors. Here’s a brief rundown of the areas we studied. Each of these areas has its own fans and is quite attractive in its own way. 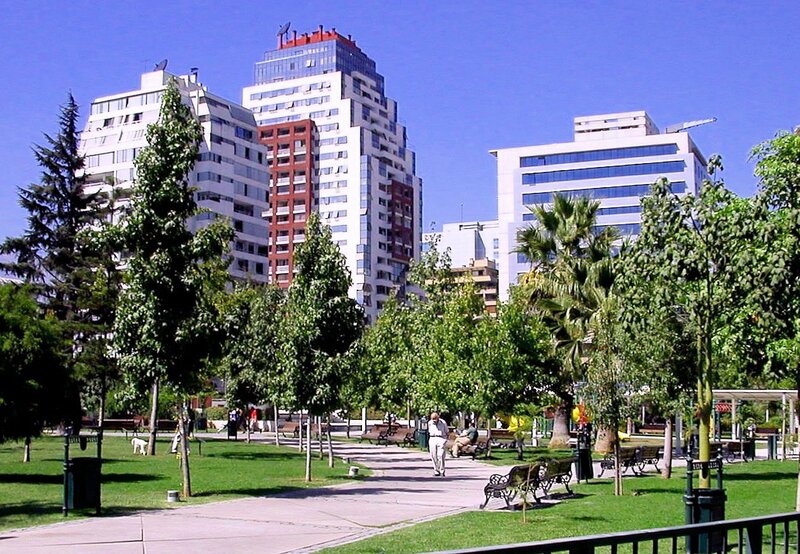 Las Condes is a relatively new, modern, clean, and upscale neighborhood. It’s an exclusive sector, with a high-income population and a strong corporate and business climate as well. Barrio Italia is an upper-middle-class area that feels like a quiet, residential neighborhood from 50 years ago. It also holds a surprising number of antique shops, sidewalk cafes, restaurants, and coffee and pastry shops, along with a handful of clothing boutiques and galleries—many of which are hidden away in the interior courtyards common to the houses here. Nueva Providencia is one of the most desirable areas in the city for the long-term visitor or expat. It’s an upper-middle- to upper-class sector, marked by tree-lined streets, tasteful residential options, and a strong corporate and business presence. Despite Ñuñoa’s claims, I think Nueva Providencia has the city’s best concentration of clubs, cafes, restaurants and commercial conveniences outside the city’s tourist zones. Ñuñoa is a part of Santiago’s metro area that has still managed to maintain the ambiance of a quiet, residential sector. It has become increasingly popular with young professionals and now offers a handful of tasteful condo buildings in addition to the quiet, single homes on its tree-lined streets. Ñuñoa is also a nightlife zone, with a great selection of clubs and restaurants. Barrio Lastarria and Bellas Artes are areas I’d label as tourist zones along with nearby Bella Vista. But they’re tourist zones for good reason. This is a beautiful historic area, with lots of fine dining, cafes, and beautiful parks, along with some of the city’s best architecture. If you had only one day to spend in Santiago, you’d want to spend it here. Barrios Brasil and Yungay are works in progress. These adjacent neighborhoods are part of Centro, and have a wealth of unrestored buildings interspersed with a few beautiful renovations. This would be a slow area for rentals but ideal for the long-term investor. For more information on Barrio Italia, Nueva Providencia, and Santiago, follow the link to read my previous essay on Santiago’s two top sectors. 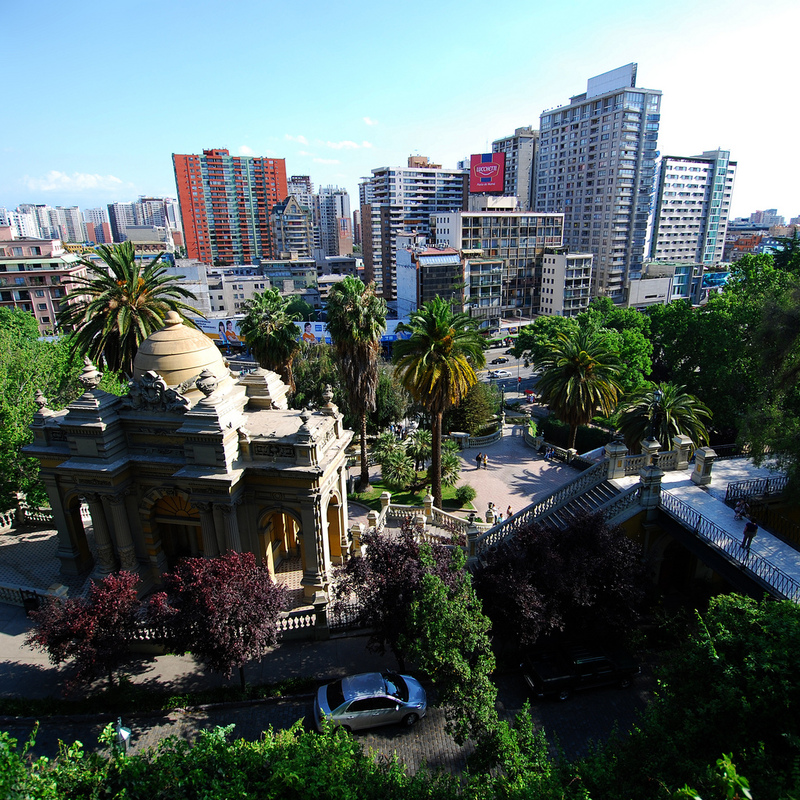 If you’re considering buying-to-rent in Santiago, it’s worth it to study up on these areas. If you’re considering living here part-time (or full-time), you’ll want to pick an area that compliments your preferred lifestyle as well as your target rental client. The size of your property is another area where compromise comes into play. In Santiago—as with most markets—smaller units have a better return on investment than larger ones when comparing the cost of the property to average rental income. A large property, although comfortable for your in-country visits, will return a lower percentage of what it cost to purchase the property. Here’s an example: A one-bedroom apartment in Nueva Providencia rents for an average about US$41 per square meter. A two-bedroom apartment in the same sector rents for US$22.33 per square meter. Another good example is in the elite district of Las Condes. The one-bedroom average was about US$30 per square meter, the two-bedroom average was just under US$24 per square meter, while the three-bedroom average was around US$19 square meter. When you pay extra to get that larger apartment, you’ll take a hit on its ROI. The chart above looks like a no-brainer, right? You’d just pick Nueva Providencia. But there’s more to it than that. The first thing you have to do when adding common sense to these statistics is throw out Barrios Yungay and Brasil. The cost to purchase looks cheap, at US$1,885 per square meter. But remember, most of the properties you’ll find here need work. To get that US$22 per meter in rent, you’ll need to invest more than the purchase price. The other problem is that occupancies in this area are low right now. As I mentioned earlier, this is a prime area for a long-term investor who wants to add value. You can expect the best occupancies in Lastarria, Las Condes, and Nueva Providencia. In the middle of the pack you’ll find Barrio Italia and Ñuñoa, with Barrios Yungay and Brasil bringing up the rear. In the end, Lastarria gets my vote for providing almost the best return with a lower point of entry than Nueva Providencia, while still offering a high quality of life. For a bit less tourist traffic, go with Nueva Providencia; for a quieter setting, try Barrio Italia. If you’re coming to Santiago, I’d allow a few weeks to get a feel for these areas and look at some choice properties. I will be in Belize from Feb. 14–19 and would like to take a look at possible real estate investments. What do you recommend? Two items come to mind in Belize. The first is called River Club, and it’s a small riverside project that’s within the Carmelita Gardens planned community. The units are studio and one-bedroom models that are designed to be used as rentals rather than for full-time living. The starting price is US$65,000, and a fairly conservative estimate of the yield is around 6% to 7%. Follow the link to read Lief Simon’s recent essay on the River club, or to get more info directly from the developer. The second offer is not actually for sale yet, but presales will begin soon. It’s a beachfront project in Ambergris Caye, on about 400 feet of Caribbean beach. Aside from the pure beachfront—which is hard to come by—the real draw of this project is that it’s a large, classic condo building, built in the old, traditional, British colonial style. Unfortunately, you can’t participate yet… but follow the link if you’d like to register your interest in The Grand Baymen project. You’ll be notified as soon and the plans and the offer are solidified. I plan to move to Cuenca, Ecuador, in September 2015. The house in which I will be living has a mailbox. However, I have read that mail delivery in the area is not that reliable. Is it necessary to rent a post office box to receive mail, such as magazines, etc., from the USA? When I checked with the post office in Cuenca earlier this month, I was told that post office boxes would be unavailable until February of this year. I lived in Cuenca for over five years, and I always used the Ecuadorian postal system. As far as I know, I never lost any mail. And I never bothered to use a mail forwarding service. Mail carriers in Ecuador don’t make rounds like they do in the United States. So when mail arrived for me, they sent a guy out on a motorcycle to hand-deliver it. I used the postal system far more than even my Ecuadorian neighbors. I did not, however, use the mail for certain things. Christmas cards are tempting to thieves, so they may not make it to your home in Ecuador. Also, receiving packages through the Ecuadorian post is not a good idea. But for routine mail, such as bank statements, pension check stubs, magazines, etc., I never had a problem. For irreplaceable or valuable documents, I always used DHL or FedEx. For best results, go paperless when you can. Will you be having a Global Property Summit again this year? I prepare income taxes for a living and March doesn’t work for me. The Global Summit that takes place on March 18 will be the only one for 2015. You can get more info here.